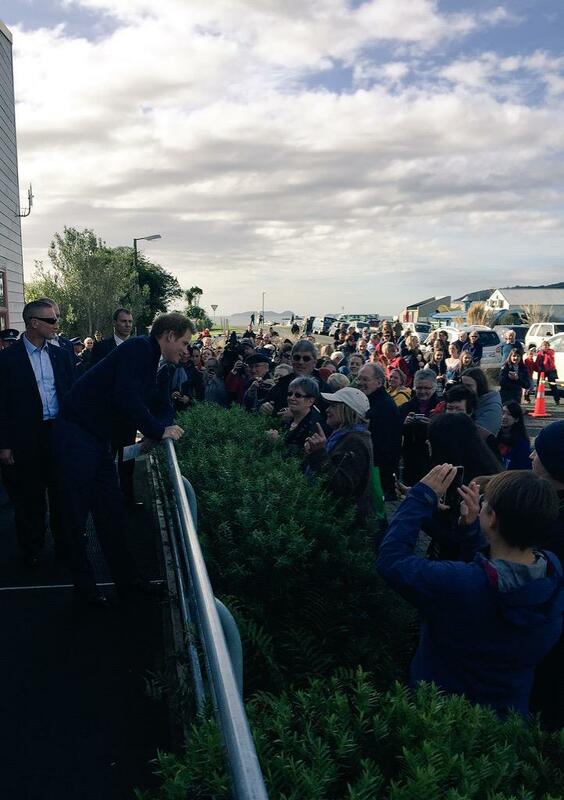 He will visit Wellington, Stewart Island, Christchurch, Whanganui and Auckland. Prince Harry will be greeted by the Governor General at Government House for an Official Welcome. He will visit the National War Memorial and ANZAC Square in Pukeahu National War Memorial Park. He will also attend the Hurricanes vs Sharks Super 15 Rugby Game at the Westpac Stadium. 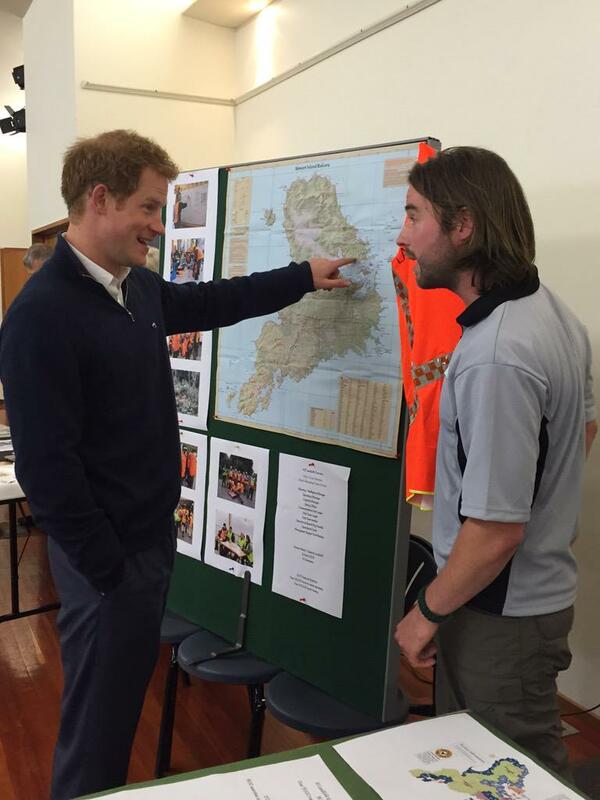 Prince Harry will meet the local community and travel to Ulva Island, a Department of Conservation open island sanctuary. Prince Harry will visit the Quake City Exhibition and Re:Start Mall and will meet student volunteers at The University of Canterbury. Prince Harry will undertake a number of military activities with the Army, including learning the Army's own Haka. 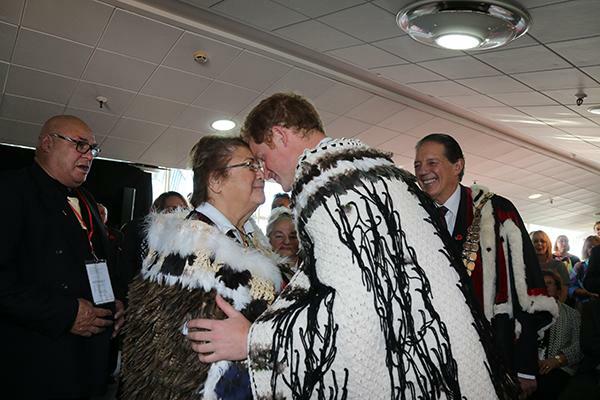 Prince Harry will visit Putiki Marae and join the crew of the Marae's waka for a trip on the river. He will also visit the war Memorial Centre to meet veterans. On May 15, Prince Harry will visit Middlemore Hospital’s Spinal Rehabilitation Unit, which is supported by the New Zealand Rugby Foundation. He will hold a reception with emergency services at Government House. On May 16, Prince Harry will attend a FIFA U20 World Cup at the Cloud and before heading to the Millennium Institute of Sport. I'm glad to see that Harry will be undertaking a whole range of engagements in this mini-tour and meeting as many people as possible. I'm sure he'll enjoy it. Perhaps a New Zealand member can tell us about the details in the Maori display? I love some of the signs among the welcoming crowd, saying things like 'fried rice at our place tonight' and 'don't worry Harry, we won't kiss you'! Harry smile in the above image too is just lovely. I hope our Kiwi friends will post. He's such a charmer! l've always wondered if he ever watched old video of his mom and the crowds. Didn't realize this was his first trip to New Zealand. Hope that he has time to enjoy its natural beauty. At the community centre on Stewart Island, Harry learnt to shuck oysters. He then hiked on Ulva Island, a predator-free conservation park. Tonight he's attended a 'Sunday night pub quiz' at what I'm assuming is Stewart Island's local pub. The Kensington Palace twitter account has posted a photo taken by Prince Harry of this morning's sunrise on Stewart Island New Zealand. There's a really nice interview on YouTube, in which the female reporter who shucked that oyster so awkwardly interviews Harry about life, love and the Army. He's quite open about why he left and about getting a balance in his life. I love the question and answer session at the school as well. In his most personal interview in recent years, the Prince said it would be great to have someone to "share the pressure" with. But, speaking outside his hilltop bungalow on the remote Stewart Island off New Zealand, he admitted it could not be forced and that the "time will come". He also spoke of his desire to earn a "wage" and to "work with normal people", even though he has not yet decided what he wants to do after he leaves the Armed Forces later this summer. He said: "There come times when you think now is the time to settle down, or now is not, whatever way it is, but I don't think you can force these things it will happen when it's going to happen. 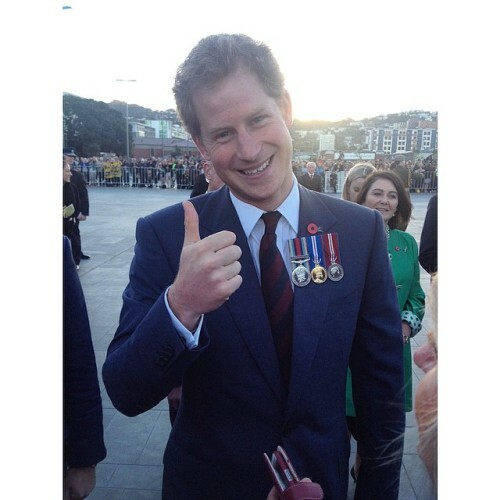 "This part of the role (royal duties) is fantastic but I and William, both of us feel as though we need to have a wage as well to work within normal people, to keep us sane, to keep us ticking along and also surely in the future from our point of view, if we want to make a big contribution, or a valid contribution and be taken seriously, then we need to work alongside other people." Very nice interview with Harry. He opens up and let people know how he feels, and I guess that's just one of the reasons why people take to Harry so well. He's real! I get his feelings. I've Always wanted a family but never found the person to have that family with. Now at 40 I'm at a crossroad.. I have to choose between having that family alone or to not have a family at all. And all that for someone who can't even choose a paintcolor for the walls. Worth noting: He is at the point that careers in the Army platteau and most of those he started with have already left the military, which I interpret as this is a very normal choice. He did not want to take opportunities away from someone else in the military, had he stayed. On the army, he loved the boys and toys element. He pointed out several times that he is like other people; everyone makes life choices.